Comment: This item shows wear including ex-library markings and moderate wear to edges and cover. 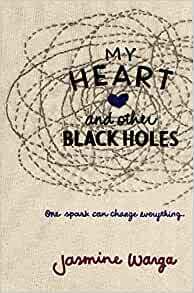 Start reading My Heart and Other Black Holes on your Kindle in under a minute. 5.0 out of 5 starsDo not read this book in a public place. I have friends who suffer from depression and I worry about them. I know I can never imagine half of what they’re going through but this book gave me a peek at what’s inside. This is a story about two people who want to die. And is it wrong to say that I understand why they do? Life can sometimes be cruel and there’s nothing we can do to stop it. It hurts to know someone is suffering and no matter how much you want to make things better for them, you can’t. What I loved most about this book are Aysel and Roman. Sure, they are not the most like-able characters but they were written in such a way that you will accept them for who they are. No pretensions, just their real selves and it isn’t always pretty. And that’s okay. This is not a love story. There is no romance here, only love and hope. This is about finding people who understand you and accepts you as you are. This is about fighting even when you no longer want to. This is about finding reasons to live. And I hope you do. I hope every single day, you do. 3.0 out of 5 starsA relatable quick read that skips around and tastes like Whoppers. A relatable quick read that skips around and tastes like Whoppers. This a 3 that should be a 2.5, but I'm too much of a wimp to do that. Before I even started this book, I was slightly rooting for them to... die. Or, mostly Ronan. I'm not morbid, I just didn't want them both to necessarily survive. I also believe that something is wrong when all you can do is imagine the leading main character with an 8-year-olds voice. 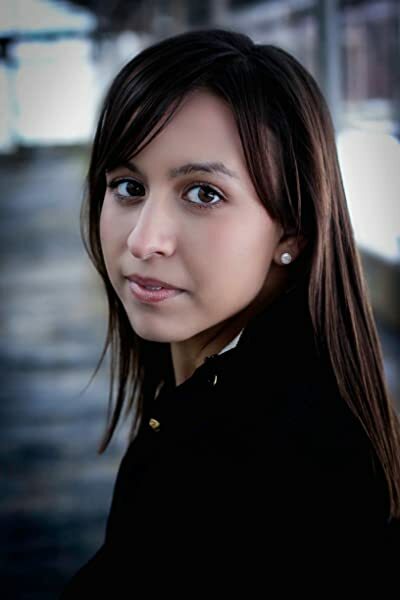 The story seemed to skip around, and lost the central voice of the story, the main reason Ayzel wanted to commit suicide. The two main characters relationship also sped up very quickly. It went from a 4 to a 9. This story was like wanting a Snickers but you could only get some Whoppers (the chocolate malt bakey things). If you're easily pacified with quick read (2 hours, tops) then knock yourself out with this book. The main reason my rating isn't a 2 is because I found it quite realistic. Being around the same age group, I was able to relate to multiple characters. And there you have it. Thanks for reading. 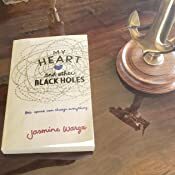 Kudos to Jasmine Warga for being able to capture the authenticity and essence of a depressed/suicidal 16 year old girl, meeting a depressed/suicidal 17 year old boy and falling in love. I haven't been 16 for quite some time (I am 29) but reading this novel made me recall some of those utterly painful, confusing, intense, coming of age feelings. How powerful love used to be, and is. How powerful sadness can be, and is. It was excellent writing and a great story. I thoroughly enjoyed being a reader who was witnessing first love when the characters were unaware of it, and how heartbreaking it felt when gloom and external/internal conflict were challenging the new relationship. 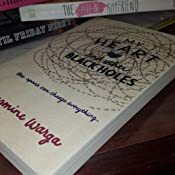 My Heart and Other Black Holes is thought-provoking, has memorable characters and a ton of really awesome quotes that you will be highlighting/sharing with others/repeating to yourself for weeks after reading. 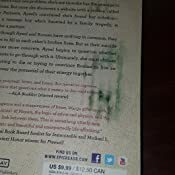 It's difficult to praise the details of the book without giving too much away because the ending really should not be known until you discover it yourself. The subject matter is difficult and even though this book is marketed towards Young Adults, I am not sure I would encourage every young adult to read it. Suicide can not be glamorized or made to be anything less serious than it is. While the author accurately portrayed depression and suicidal thoughts, I feel like a young adult reader COULD (if already dealing with depression and suicidal thoughts) romanticize suicide and depression. Instead of deterring the reader or encouraging them to seek help and guidance, it COULD influence them to glorify their depression/suicidal thoughts. It is so easy to be influenced as a young adult reader. With that disclaimer, I thoroughly enjoyed this book and would read it again as it is a relatively quick and beautifully written, yet easy, read. I love books that can put words into sentences my clouded mind cannot seem to form. If you have depression this book will be painfully real to you. I'm going to be honest, I am glad I read it all in one sitting because in the beginning it put me in a dark place. I can relate so much to the inner thoughts of Aysel so I found my self thinking things in terms of my own life. The ending is happy in a there is a light at the end of the tunnel kind of way. This book helps put things into perspective all with one amazingly well placed quote toward the end of the book. "The mind is its own place, and in itself can make a heaven of hell, a hell of heaven" Life is what you make it.